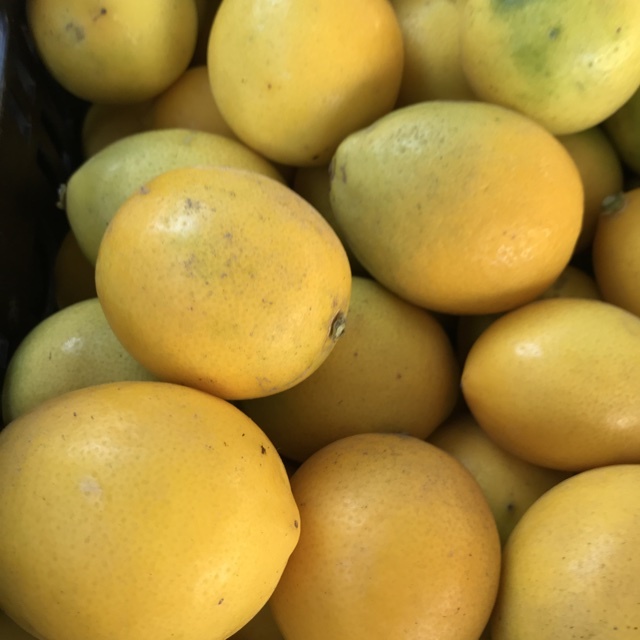 Meyer lemons easily differentiate themselves from a common lemon with their smaller size, smoother, thinner rind and less pronounced mammilla. They are more round than ovate, measuring up to 8 centimeters in diameter. They are a deep, brilliant yellow color. Meyer lemons are highly fragrant; the rinds are full of volatile oils. Their pulp is low in acid, aromatic, floral and sweet. Meyer lemons are only moderately seedy. 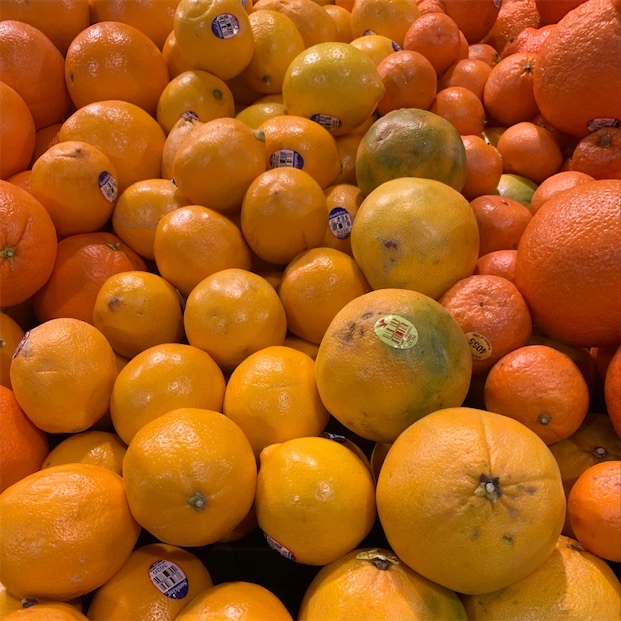 Meyer lemons are available year-round, with a peak season in the winter through spring months. The Meyer lemon, botanically known as Citrus meyerii, is believed to be a natural hybrid of a lemon and either a mandarin or a sweet orange. 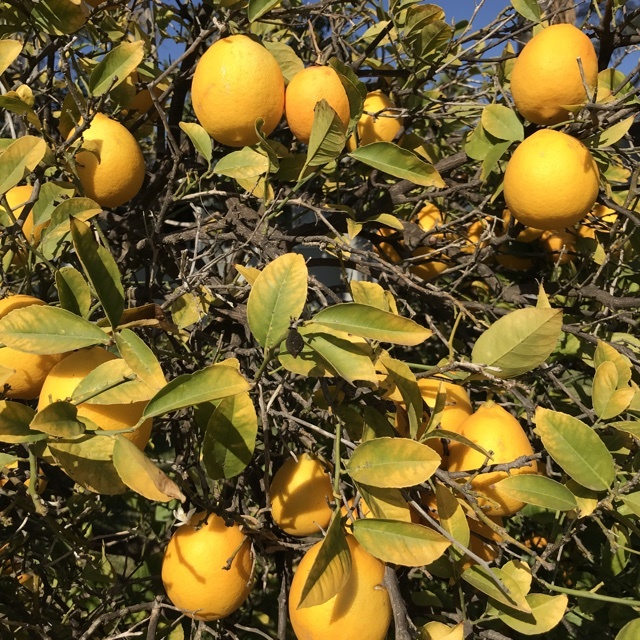 Meyer lemon trees were plagued by disease until 1975 when the University of California re-released the "Improved Meyer Lemon" tree. Meyer lemons are a good source of vitamin C, and a source of potassium, calcium and magnesium. The lemons get their flavor and an antioxidant boost from thymol and limonene, flavonoids that protect the immune system. Meyer lemons are used for their fragrant zest and juice, which is sweeter and more floral than a Eureka or Lisbon. Slice lemons thinly and add to pizza. Add zest to butter cookies, cranberry scones, cheesecake batter or macarons. Juice and combine with water and simple syrup for lemonade. Mix juice and zest with egg yolks and butter, then cook into lemon curd. Toss fresh pasta with lemon zest, basil and Parmesan. Combine olive oil with juice and zest and use as a marinade or vinaigrette for asparagus, broccoli, or fresh peas. Meyer lemons will keep in a cool, dry place for 2 to 3 weeks. Refrigerate for extended storage. Meyer lemons were re-popularized by chefs such as Alice Waters, who began featuring the citrus in dishes around the end of the 1990s. The Meyer lemon tree was brought to the United States from Beijing, China in 1908 by Frank Meyer, a plant explorer with the United States Department of Agriculture. Its given name was to honor Meyer for his discovery. The Meyer lemon trees are exceptional garden and grove trees, making them suitable for all levels of cultivation. They flourish in dry, temperate coastal climates and require little rainfall or irrigation. 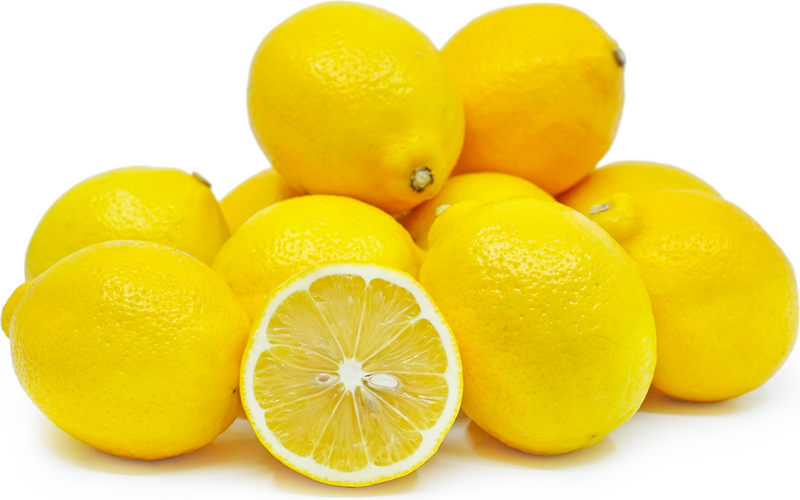 Meyer lemons do not have a large commercial market as they do not withstand excessive handling or shipping. Recipes that include Meyer Lemons. One is easiest, three is harder. 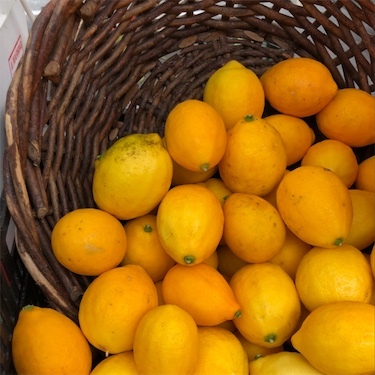 People have shared Meyer Lemons using the Specialty Produce app for iPhone and Android. Sharer's comments : Lower in acidity but still filled with Vitamin C - Lemonade anyone? Sharer's comments : Meyer Lemons spotted at First Alternative Natural Foods Co-Op. Sharer's comments : Fresh Meyer lemons from Frieda’s !! @ralphs! 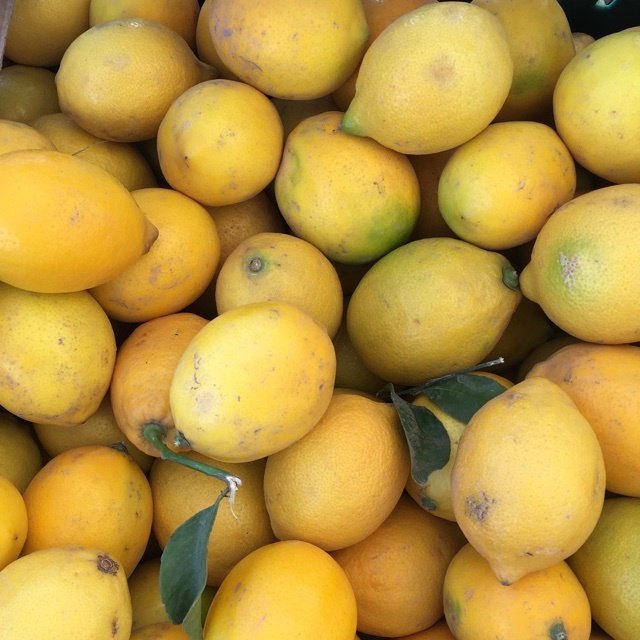 Sharer's comments : Meyer Lemons spotted at Little Italy Farmers Market. 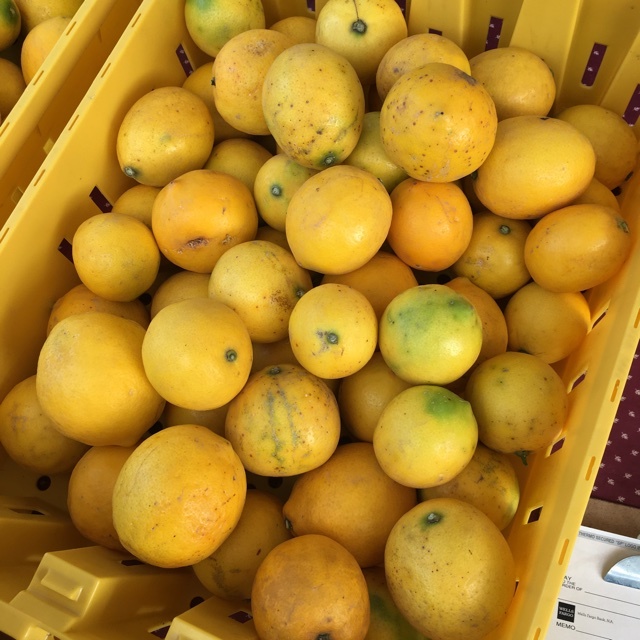 Sharer's comments : Meyer Lemons spotted at Virginia Park Farmer's Market. Citrus season has begun! 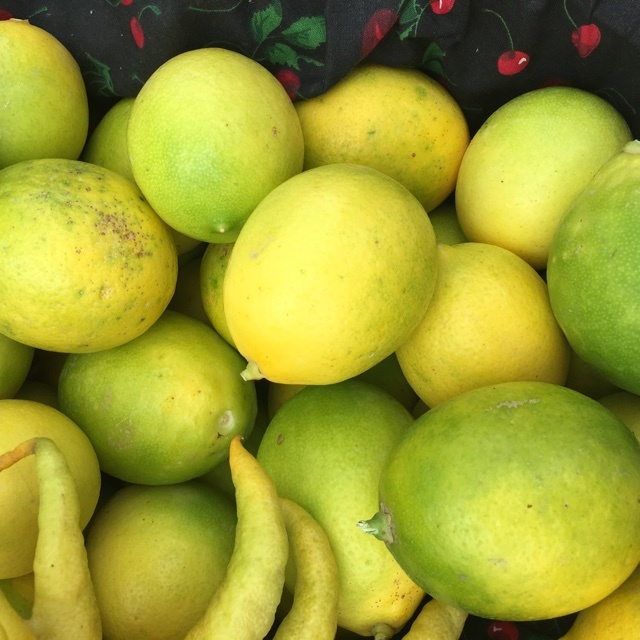 Sharer's comments : Meyer Lemons spotted at JR Organics Farm. Sharer's comments : Meyer Lemons spotted at Brentwood Farmers Market. Super sweet, perfect for preserving with salt and lemon juice. 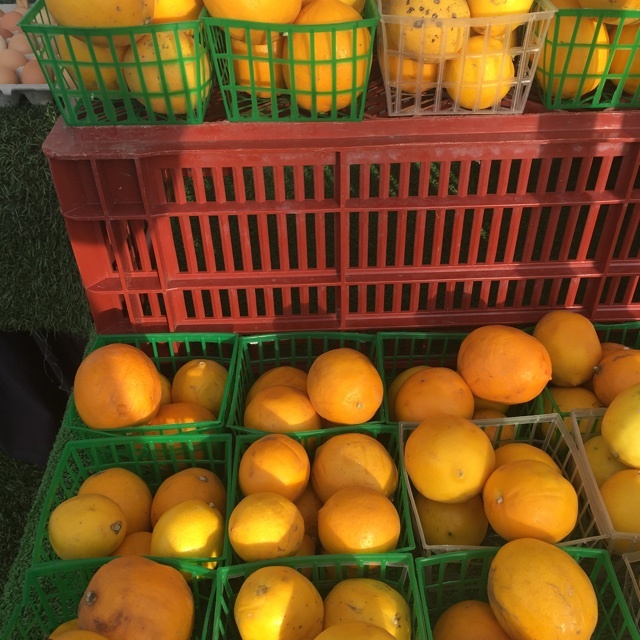 Sharer's comments : Meyer Lemons spotted at Pacific Beach Tuesday Farmers' Market. Sharer's comments : Meyer Lemons spotted at Brentwood Farmers Market. Sweet with thin skins, best lemons to preserve with lemon juice and salt. 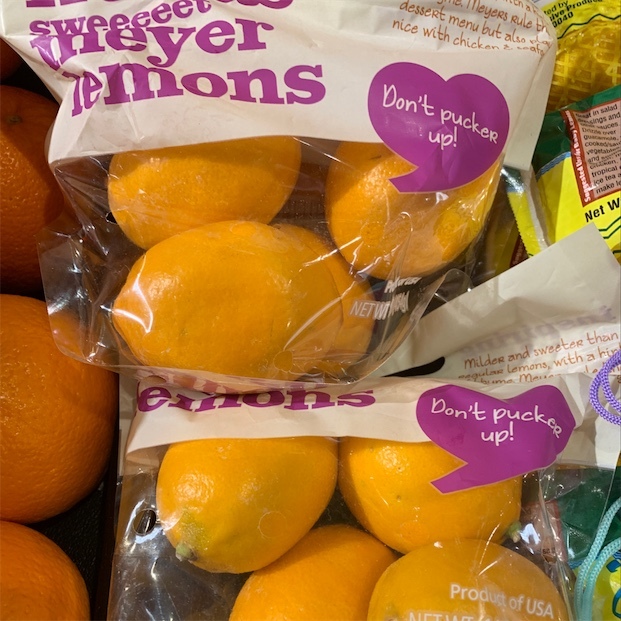 Sharer's comments : Meyer Lemons spotted at schnucks. Sharer's comments : Meyer Lemons spotted at Schnuck's. Sharer's comments : Meyer Lemons spotted at Shasta SF. 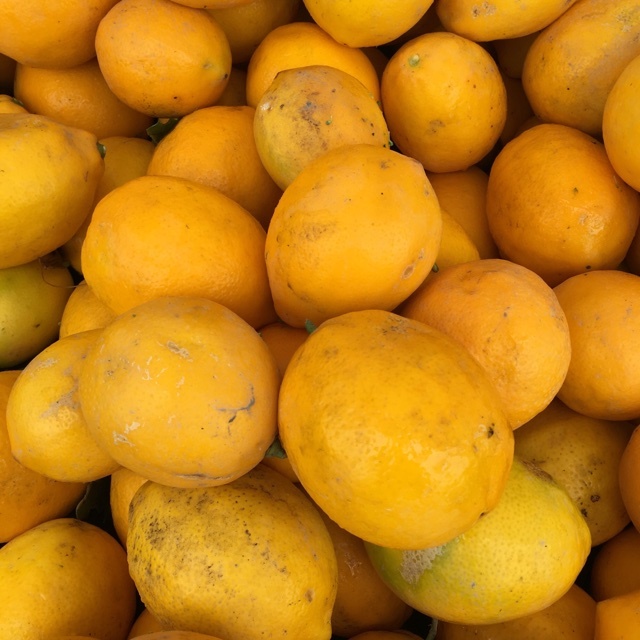 Sharer's comments : Meyer Lemons spotted at Santa Monica Farmers Market.